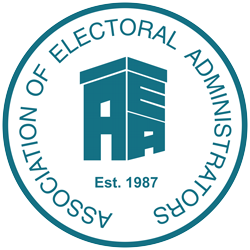 Every week, via its newsletter, the Association’s communications team provide our 1800+ members with the latest news and information about what’s going on in the world of electoral services. Every single member receives a personalised e-mail as soon as the newsletter is published. Once a month, the Association’s flagship ARENA magazine provides members with a more in depth look at what is going on with events, local authorities, government and our electoral partners. As is the case with the newsletter, every member is individually notified of the magazine’s publication. It should be pointed out that a newsletter is not produced in the week that the monthly ARENA is published but all newsletter material is combined with the magazine. In addition, news updates are published on the website on a daily basis and the site is packed with guidance and other informative material to assist our members in their work. The Association’s website is a great way of advertising to anyone who accesses both the members’ and public areas of the site; the newsletter can carry advertisements, as can ARENA, and we can also send advertising features to each individual AEA member. Please be aware that the submission of an order for any form of advertising does not guarantee its implementation and the AEA reserves the right to decide not to publish or circulate any material submitted in support of it. Files containing all advertising material can be uploaded during completion of the online order form but please ensure that advertisements for inclusion exclusively in the weekly newsletter (not the combined newsletter/ARENA) are uploaded via the form, or sent by e-mail to the Website Manager by no later than 12 noon on the Monday of the week in which the newsletter is published. Individual e-mail distribution of advertising features to all AEA members can be undertaken on any date of your choosing; these can also be uploaded via the form or sent to the Website Manager but please submit them at least two working days before the e-mail distribution takes place. Click here for an example of a previously distributed feature containing a few graphics and here for a version of the same one with just a couple of small images. Click HERE for a detailed specification of the material/information to be provided to us when placing an order. The online order form is HERE. Using this form will ensure a speedy response to your request. However, in the event that you experience any difficulty with the online form, you can download an Excel version HERE and send it by email. These may be subject to change depending upon circumstances at the time, but, if this should prove necessary, adequate notice would be given. Normally, we aim to publish on the second Wednesday of each month. If, after having read all of the above, you want further details or would like to discuss any aspect of advertising through the AEA, please e-mail our Commercial Director, Bill Crawford OBE, at bill.crawford@aea-elections.co.uk or telephone him on 07809 556354.